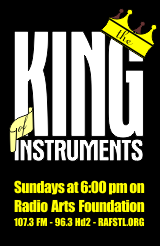 Click here for Information about sponsoring a partial or entire episode of The King of Instruments. For any any other questions or comments about the show, please email koi@agostlouis.org. Become a Friend of the King of Instruments and help keep organ music on the air. Full information available here.